The Davids kick off the inaugural episode of Blurry Photos by talking about the life and times of The Beast himself, Aleister Crowley. 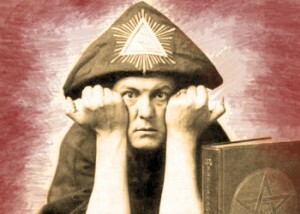 Perhaps best known for his occultism and black magick practices, Crowley had many interests and was influential to many people and ideas today. At one point called “The Wickedest Man in the World,” Crowley certainly led a fascinating life, despite the stigma that surrounded him. “Do What Thou Wilt” does not mean, “Do what you want”. It means follow your true Will in life. Doing what you’re truly meant to do in life in order to attain happiness/love. People that are not following their true Will are miserable, but don’t know why. Also, the Barbara Bush connection is a myth, and tell Dave#2 that AC’s name is pronounced [CROW-LEE]. I blame Ozzy.